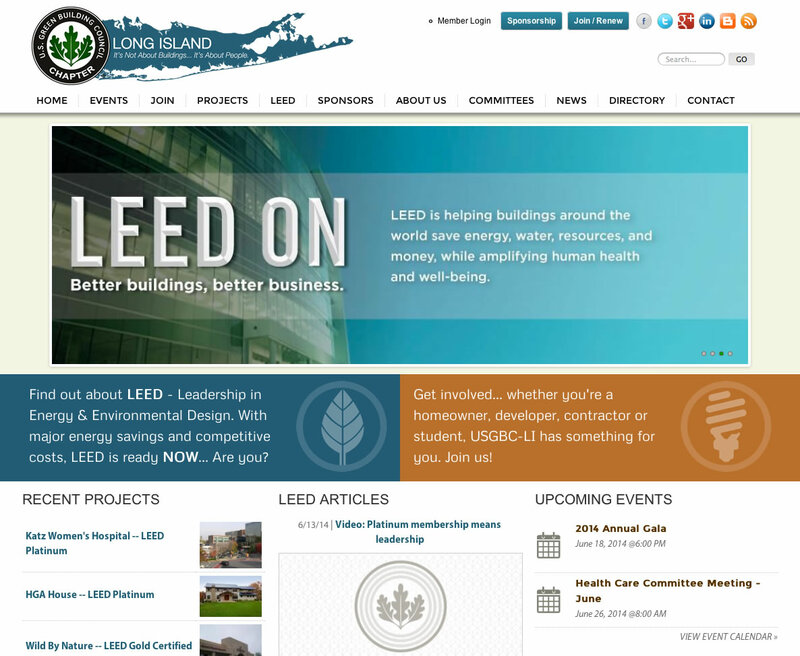 The US Green Building Council of Long Island (USGBC-LI) is the Long Island Chapter of the national organization, which is at the forefront of sustainable development practices in the US. The USGBC promotes LEED - Leadership in Energy and Environmental Design. There's a wealth of new technology and government incentives that have now made Green Building the wave of the future, ultimately saving costs, while at the same time preserving the environment. With a vibrant membership, including both sponsors and and multi-level membership, InterCreative opted for a Drupal/CiviCRM implementation, featuring CiviCRM's excellent CiviMember component. CiviMember handles membership renewals seamlessly, automatically sending out renewal notices and expiration reminders, with transactions being handled using CiviCRM's CiviContribute component. And CiviDiscount - yet another component in the CiviCRM package - allows for the creation of discount codes that can be selectively applied to event fees or anything else that can be purchased through the organization. This powerful toolset allows for different levels of sponsorship, where donor organizations can offer special benefits to members, individually based on their level of participation. The USGBC-LI website features a smart design that displays a wealth of information in an attractive and engaging way, using adaptive styling for display on everything from desktop to tablet to mobile. We're especially proud of this one, especially of having the opportunity to do our small part to promote Green Building both now, and in the future.